A. Lange & Sohne watches are all about precision and ultimate craftsmanship – especially with the new A. Lange & Sohne 1815 tourbillon. 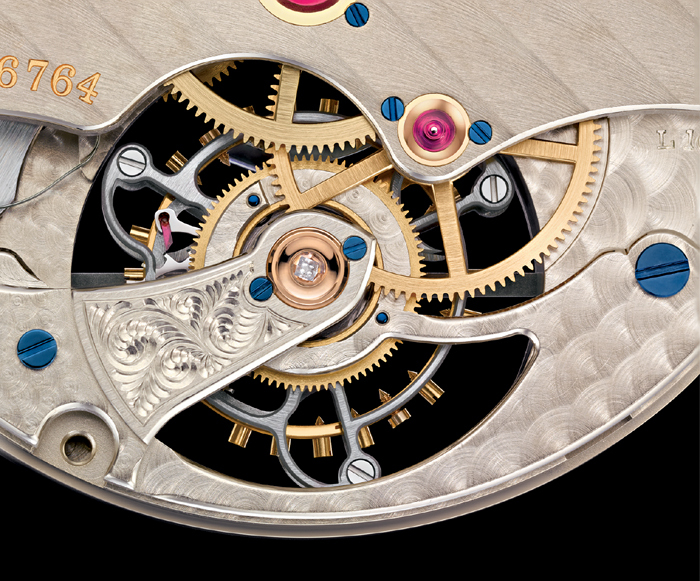 A tourbillon watch movement is more a feat of human engineering than an actual watch complication. The development of the movement was done to counteract the most basic of human challenges, gravity. What goes up, must come down, which unbeknownst to Newton, adds to inefficiencies in the accuracy of a mechanical time piece over the course of, what else, time. Developed in 1795 by French Swiss watch maker Abraham-Louis Breguet, the escapement and balance wheel are placed in a rotating cage thereby nullifying the effects of gravity. 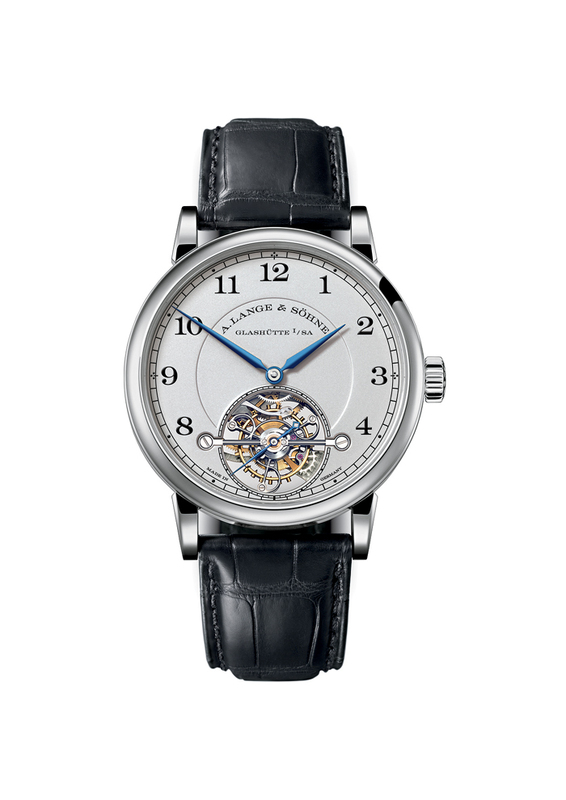 The A Lange 1815 Tourbillon with stop-seconds mechanism and Zero-Reset have raised the bar on Tourbillon movements and thereby the accuracy of what no one can avoid. 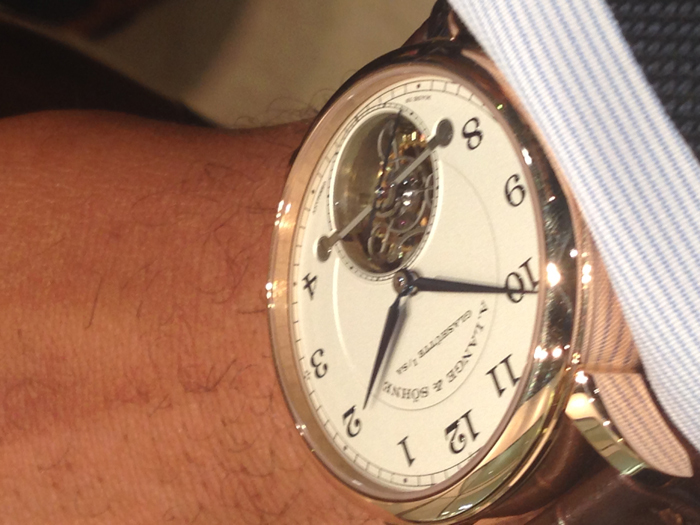 The platinum version of the 1815 Tourbillon. First things first. The 1815 is designed for accuracy. Exacting German accuracy. 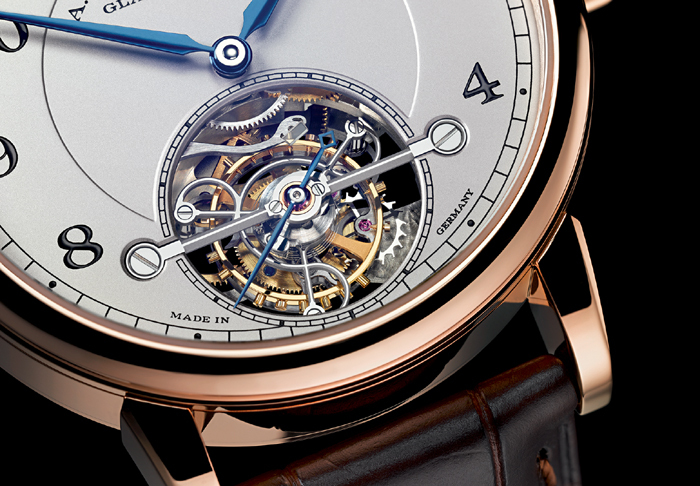 When setting the time and pulling the crown, the tourbillon cage stops and the second hand jumps to the zero position. Utilizing a secondary source, the watch can now be set to the second and synchronized with a corresponding time telling device. I visualize a haute version of Parker Lewis Can’t Lose, where the pack of high school miscreants can now synchronize their nefarious plots to the second, knowing that the forces of nature cannot come between them and their plans to escape high school detention. All joking aside, this piece is by far one of the nicest I have ever come across and is pushing the limits of Haute Horology. The main reason being that prior to A Lange & Sohne’s development, the tourbillon movement could not be stopped. Not only have they pioneered that particular innovation, they have also pioneered the ability for the second hand to reset when setting the time, which as mentioned earlier, allows for unprecedented synchronization.